A rare outburst from a normally quiet fighter. That’s the effect a lot of trash talk can have, and a lot has been written about McGregor’s mental games and his supposed psychological advantage over opponents. We saw with the Poirier fight, and most recently with the Jones - Cormier fight, how important it is to keep your mental fortress intact, even if that means being slightly delusional. McGregor has called Siver a midget, criticized him for failing a piss test, tweeted and then deleted “Kiss them feet Nazi,” and most recently predicted a win inside of two minutes. That’s not all. Pretty much everybody outside of Siver’s camp thinks he stands a snowball’s chance in hell, and even UFC CEO Lorenzo Fertitta acknowledged that the ad blitz leading up the event on Sunday purposefully ignored Siver. I speak German, so Fightland asked me to talk to Dennis more about his feelings about Sunday’s UFC Fight Night: Boston on Fox Sports 1. Dennis is a somber fellow from Omsk, a city in southern Siberia founded in the 18th century by a German cossack to defend Peter the Great’s Russian Empire from Turks and Tatars. One of the city’s founding structures is a German Lutheran church; Germans immigrated there after Peter the Great’s death, following his turn to Western European culture and society; and Stalin used Omsk as a dumping ground for ethnic Germans during his rule. Their split identity led some to stay in Omsk as ethnically German Russians, while others left for Germany after the fall of the Soviet Union and became ethnically Russian Germans. Siver and his family are the latter, and although stereotypes are often half-truths couched in delusion, Siberian-Germans who spent the first 17 years of their lives under Soviet rule can be forgiven for being dour, intense, and averse to showtime and the fast talking that comes with it. Honestly though, Siver doesn’t have many fans. Part of the reason is MMA’s status in Germany (barely accepted by the authorities), and the fact that many Germans are somewhat conflict/violence averse. A 2010 TV ban on UFC events was recently struck down by a German court which should help establish the sport in Germany further. 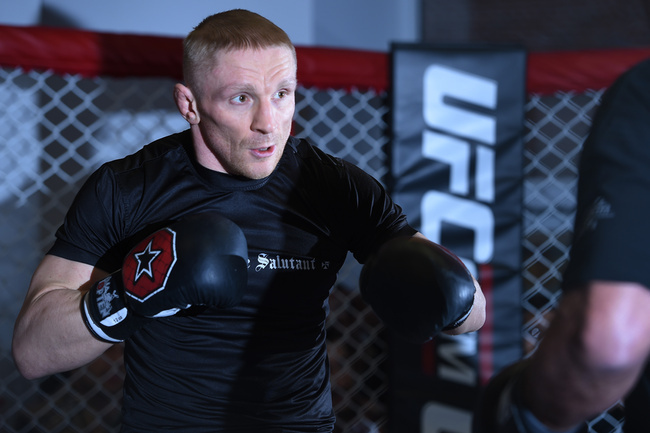 But for the old school German fighters like Siver, the lifting of the ban may a bit too late to help bolster his fan base in Germany. What a contrast to the Irish Nation following Conor McGregor around wherever he goes. The fight poster for Sunday’s event shows Conor in the foreground draped in the Republic of Ireland’s flag, and Dennis is in the background draped in the black, red and gold of the German flag. Not very convincing, to my eyes, and aside from Conor’s stupid Nazi remark, there is little in the way of a national rivalry going into this fight. But the UFC loves Conor for many reasons, and one of them is his ability to bring out the fire in an ice cold opponent like Siver and get a little hype going for a fight that is basically a handpicked test to see if the McGregor phenomenon has teeth. Can Conor affect reality through magick, and win inside of two minutes solely through the power of intent? 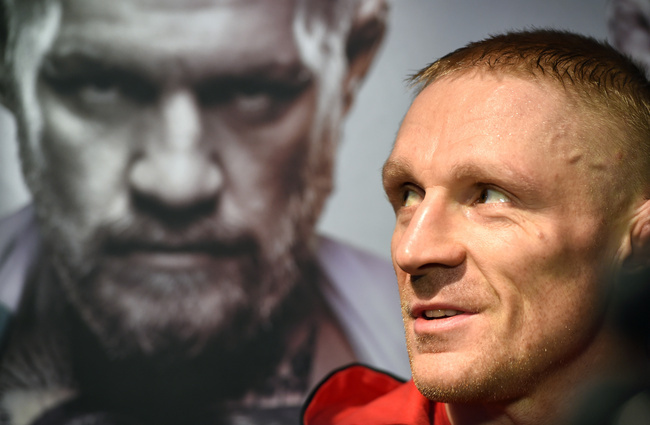 Is an angry Siver a less effective fighter in the ring? Can Conor’s TKD guru neutralize Siver’s (supposed) trump card, the back kick to the liver? What poses a a greater threat, Conor’s cutting tongue, his powers of telekinesis, or his recent off the charts physical performance?